BEIJING Satirical news site The Onion has claimed another international victim. Back in September, it was the English-language version of Iran's official Fars news agency, which, citing the spoof site, published a report on Iranian President Mahmoud Ahmadinejad polling drastically better among rural white Americans than President Obama. Now, the online version of China's Communist Party newspaper has hailed a report by The Onion naming North Korean dictator Kim Jong Un as the "Sexiest Man Alive." The People's Daily on Tuesday ran a 55-page photo spread on its website in a tribute to the round-faced leader, under the headline "North Korea's top leader named The Onion's Sexiest Man Alive for 2012." Quoting The Onion's spoof report, the Chinese newspaper wrote: ""With his devastatingly handsome, round face, his boyish charm, and his strong, sturdy frame, this Pyongyang-bred heartthrob is every woman's dream come true." The photos the People's Daily selected include Kim on horseback squinting into the light and Kim waving towards a military parade. 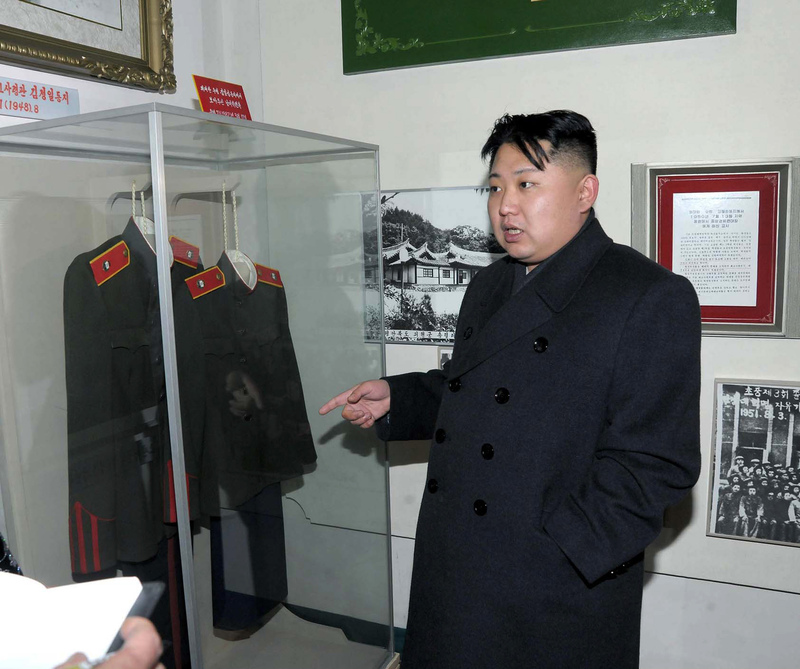 In other photos, Kim is wearing sunglasses and smiling, or touring a facility with his wife. People's Daily could not immediately be reached for comment. A man who answered the phone at the newspaper's duty office said he did not know anything about the report and requested queries be directed to their newsroom on Wednesday morning. It is not the first time a state-run Chinese newspaper has fallen for a fictional report by The Onion. In 2002, the Beijing Evening News, one of the capital city's biggest tabloids at the time, published as news the fictional account that the U.S. Congress wanted a new building and that it might leave Washington. The Onion article was a deadpan spoof of the way sports teams threaten to leave cities in order to get new stadiums. Previous winners of The Onion's "Sexiest" crown include Syrian strongman Bashar Assad, convicted Wall Street swindler Bernard Madoff and Unabomber Ted Kaczynski.